It’s no secret that sometimes problems arise in a restaurant that could cause sickness or injury to customers. A bad batch of meat may make a customer ill, someone may slip on a wet floor that didn’t get mopped up in time, or a customer may accidentally cut their fingers on a knife. Unfortunately, all it takes is one of these issues (or anything similar) to create serious liability problems for a restaurant owner. Depending on how many people were affected and the severity of the incident, your restaurant could be responsible for financial damages. There are a few ways to help mitigate the costs of this risk, such as restaurant insurance, but even if that covers the financial risk you will still have to manage the PR fall-out. 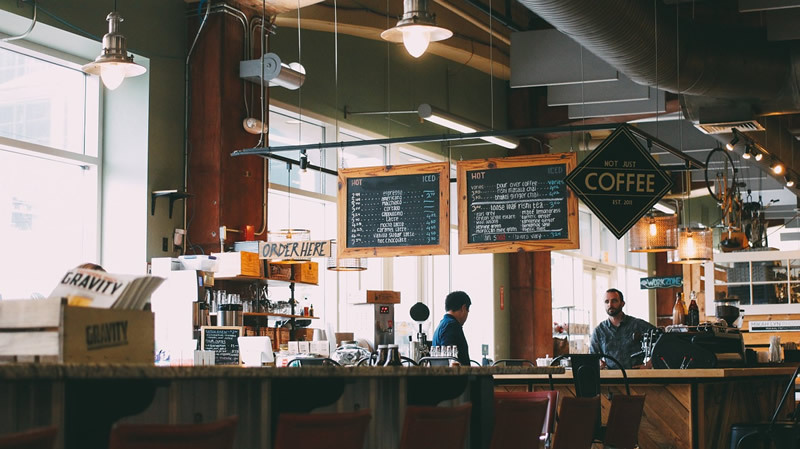 Restaurant owners will need to have some serious capital in order to start-up their restaurant, which includes costs related to leasing the building, renovations, hiring staff both inside and outside the kitchen, stocking ingredients, marketing, and much more. The median cost to open up a new restaurant is $275,000 for a leased building, and $425,000 for an owned building—and that’s just the opening cost, which does not include the cost for ingredients and labor once the business is running. Due to the high amount of capital required to start up, most restaurant owners will not see much profit for minimum a few months if not a few years. As an owner, you need to be financially stable enough that you can go without major profits until you’ve paid off your capital investments. One of the biggest problems restaurant owners face is seemingly simple: a selling point that makes them stand out among the competition. Depending on the location and type of restaurant, owners may face very little (or even practically zero) competition—or their restaurant could be competing with dozens of restaurants in the area. Owners often find it difficult to find a unique selling point that makes their restaurant stand out from the competition in the area. It is not enough to have tasty food and good service; owners must be able to carve out something unique in order to create a selling point. Examples of selling points that make restaurants stand out include Sonic restaurants, which play on nostalgia with their drive-in locations and 1950s-inspired menu, as well as Mod Pizza, which lets customers build their own pizzas with unlimited toppings. Restaurant owners need to ensure that their restaurants serve good food—that’s a given. Food needs to be prepared safely and cooked professionally to ensure a great taste that will have customers coming back for me. If the food doesn’t taste good—whether it’s burnt, undercooked, oversalted, undersalted, etc.—then the restaurant’s reputation can dive as quickly as it takes for people to post some online reviews. Likewise, a poorly planned menu will either turn off customers who do come into the establishment or keep potential customers away due to the confusion of the menu. Menus should not be too big; they should be planned with a food theme in mind to ensure that customers have a reason for coming in—and to ensure that the cooks in the kitchen can actually make everything promptly. Staff at restaurants are an essential component of its success, which is why it is important that the staff is well-trained, work well together, and know how to operate in a professional restaurant environment. As restaurant owners soon find out, however, employees don’t always stick around. And if a restaurant ends up with a high employee turnover rate, they will soon find that every area of their business—from the quality of the food to the customer service to cleanliness—will suffer. This in turn will result in poor reputation, lost sales, and the failure of the restaurant. Owners need to be aware of their employee satisfaction, and ensure that steps are taken to reduce employee turnover as much as possible.